Band to play stadium shows in five countries. Coldplay have today announced a run of Asian stadium shows for the acclaimed A Head Full Of Dreams Tour, including the band’s first ever concerts in Taiwan, the Philippines, and South Korea (they last played Japan in 2014 and Singapore in 2009). Tickets for the Asian dates go on sale on 17 Nov (Seoul), 18 Nov (Singapore, Tokyo) and 24 Nov (Manila, Taipei). Coldplay’s “A Head Full of Dreams World Tour” in Manila is presented by Globe --- the #1 mobile brand in the country today and the preferred digital brand of the Filipinos. Globe customers get first dibs on an exclusive pre-sale on November 20, 2016 at all SM Tickets outlets. To join the pre-sale, fans just have to text GLOBECOLDPLAY <ticket type> to 2363 on November 18 starting at 9:00 AM. Customers will receive a reservation code which they need to present to purchase the tickets at any SM Tickets branch on November 20. For details on the exclusive pre-sale, visit www.globe.com.ph/GlobeColdplay. Follow Globe’s official Facebook page or @enjoyGlobe on Twitter and Instagram for more updates. As the official pre-sale credit card for “A Head Full of Dreams World Tour”, Citi® card customers will have access to purchase pre-sale tickets beginning November 21-22. 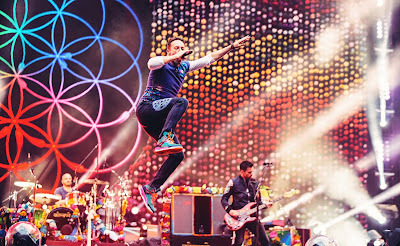 Coldplay’s “A Head Full of Dreams World Tour” is produced by Live Nation and is promoted by MMI Live. Tickets to Coldplay’s “A Head Full of Dreams World Tour” in Manila will go on sale on November 24, Thursday at 10 A.M. through SM tickets outlets, smtickets.com or call (02) 470-2222. For more info, visit mmilive.com or follow @MMILive (on Instagram, Facebook and Twitter).